The best Video Poker game on MocoSpace. Win prizes including the Moco Gold Jackpot! 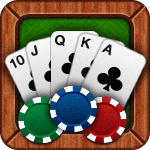 Join MocoSpace and you'll be playing Poker Mania in no time!